As we are all becoming more aware of what we eat, it's not just a matter of eating more healthily, we like to know where our food comes from and it has been treated. The best way to be certain of this is to grow it yourself. Whether you have a massive plot, or just a few planters, growing fruit and vegetables can be very satisfying and a little know-how can go a long way. 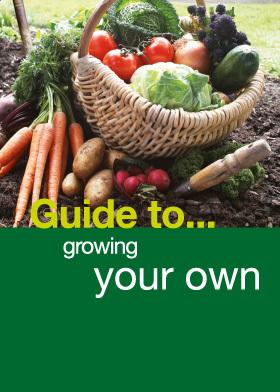 This guide has been designed specifically to help set you on your way with some basic steps to producing your own fruit and vegetables.